Bringing about the "second spring"
Today Holy Mother Church remembers St. Madeline Sophie Barat, born in France, who died in 1865. 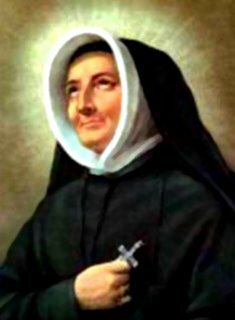 Educated by her older brother who became a priest, she founded the Society of the Sacred Heart of Jesus on November 21, 1800. She opened more than one hundred house and schools. Eight years before she founded this order, laws were passed in France that suppressed religious orders. Not long passed before a solid reaction set in, and today’s saint played a huge role in bringing about what is called the “second spring.” More information about this order is on the New Advent Website. One thing I enjoy about this order is that its members–only women–recite the Office of the Blessed Virgin Mary every day. It’s modeled after the Liturgy of the Hours. Take a look here and here. Madeline worked hard, but she didn’t stop because she got “burned out.” Rather, she had a love for our Lord that made her want to not stop working. Let’s pray that we can obtain that kind of attitude and passion, so that perhaps we can bring about more springs! This entry was posted in Mary, Reflections, Saint Quotes, Saints, Vocations. Bookmark the permalink. I concur with the above post :D!!! !